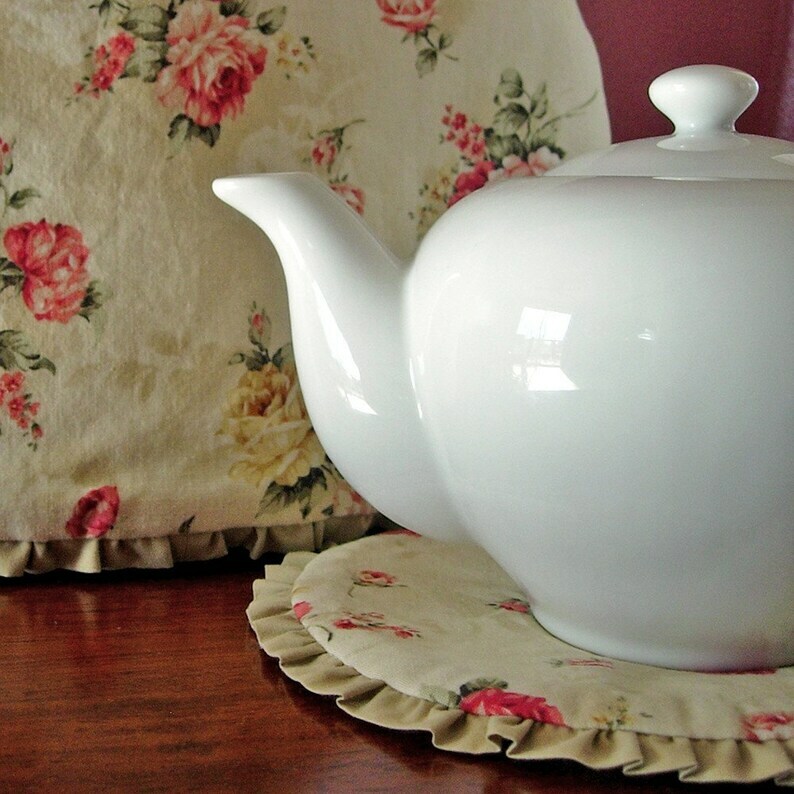 Keep your tea warm with this one-of-a-kind retro teapot cozy. The matching potholder completes this beautiful nostalgic tea party set. Perfect gift for yourself or someone you love. I loved this red rose shabby chic fabric as soon as I saw it and I had to accent it with something special - tiny handmade taupe ruffles - which accent the hem of the cozy and edge the potholder. This tea pot cozy is ready to ship worldwide via First Class Mail.